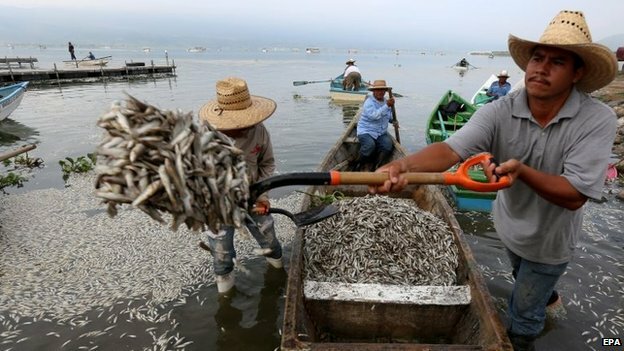 Hundreds of thousands of fish have been washed up on the shores of Lake Cajititlan in the Mexican state of Jalisco over the past week. Almost 50 tonnes of dead popoche chub freshwater fish have been removed from the lake. 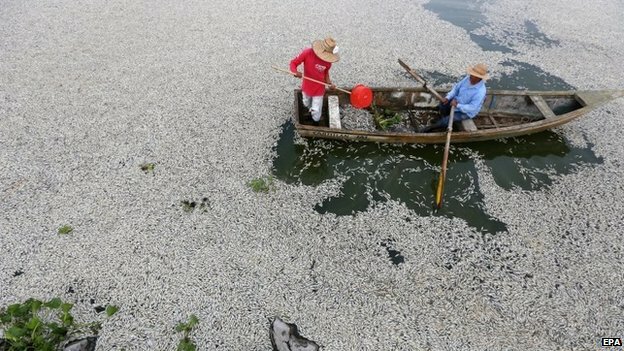 The local authorities said it was part of a "natural cycle" but state officials said it was due to the lake's "poor management". More fish are expected to wash up over the next days.